Copied in 1948 from an earlier manuscript (now lost) by Fr. 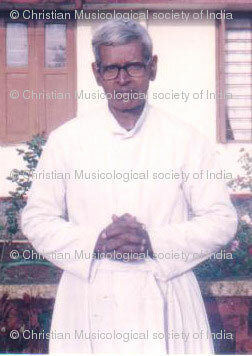 Aiden Kulathinal, C. M. I., at St. Theresaâ€™s Monastery at Ampazhakkadu, Kerala. 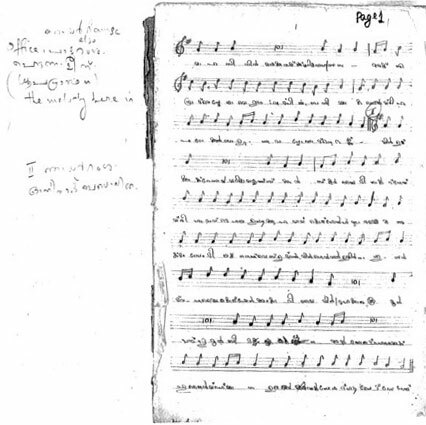 So far as we know, this manuscript contains the earliest transcriptions of model melodies from the liturgy of the Hours in the Chaldean rite of the Syro-Malabar Church, India. 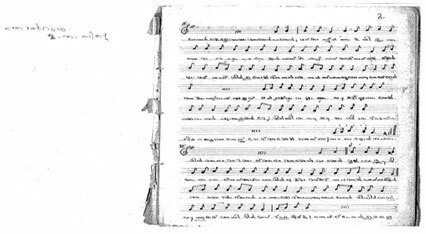 The 27 pages are divided into three sections: pages 1-14 contain 51 Syriac melodies from the Hours; pages 15-19 consist of notation of what looks like Western melodies (to be verified) without text underlay; and pages 20-27 contain Marian litanies in Latin with Syriac translation. The Syriac texts are written in Malayalam script. The original copy is at the library at Acharaya Palackal Jeevass Kendram, Aluva, Kerala. See more details in Palackal 2005, pp. 134-135.